From its humble beginnings in 1999, the beauty, elegance, and grandeur of the Black Tie Dinner continues to grow with each year. It is hard to believe that only nineteen years ago, the first Black Tie Dinner was served in the John Purdue Room and hosted a mere thirty guests. 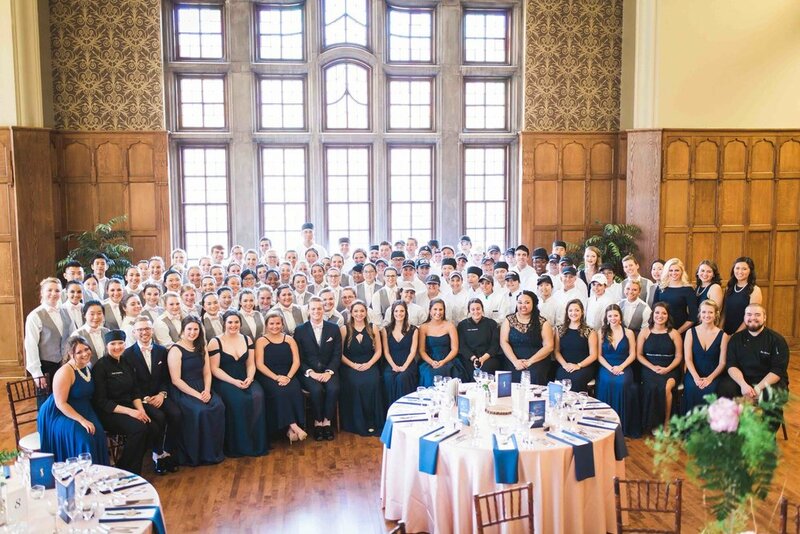 Now, as Purdue’s Hospitality and Tourism Management program has grown, developed, and prospered, so too has the experience of the Black Tie Dinner. Today the event is held in the stunning North and South Ballrooms of the historic Purdue Memorial Union and is host to over two hundred guests. 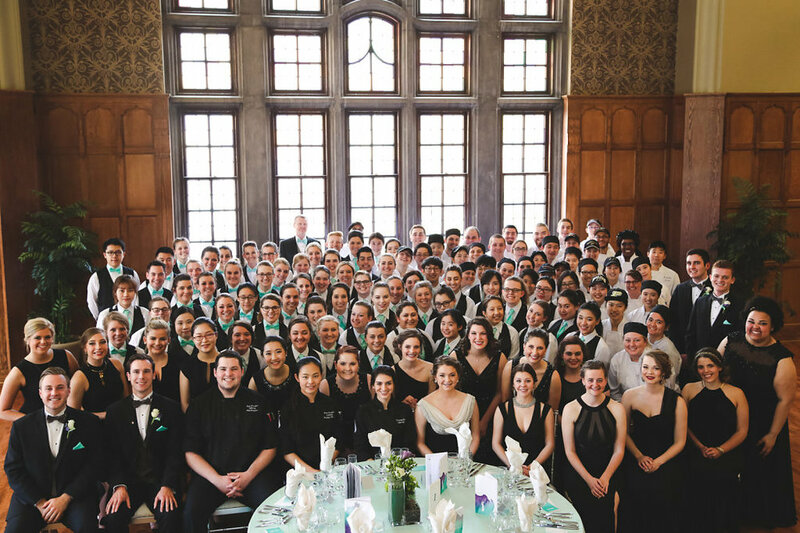 The Black Tie Dinner, a unique event, is planned, and executed in its entirety by student volunteers of all grade levels in Purdue’s esteemed Hospitality and Tourism Management program. Through synchronized service, gourmet cooking, and other industry arts, students of Black Tie Dinner strive to create a unique and unforgettable event that showcases the passion, creativity and talent of the future leaders of the Hospitality Industry. We are held beneath the Purdue HTM Society, which is an association of students who plan to enter the hospitality industry as professional managers.